There have been dynamic women in the gaming industry since the beginning. Carol is known as the first woman game programmer and designer. Starting out as an employee at Atari, she helped design and program 3-D Tic-Tac-Toe for the Atari 2600 in 1979. 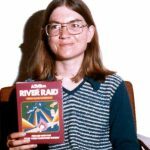 She later designed classic games such as Happy Trails (which she designed completely by herself) and River Raid. Carol Shaw is a trailblazer and inspiration for women and designers all around the world. Roberta Williams co-found Sierra Entertainment with her husband Ken in 1979. She became known as the creator of the graphic adventure video game genre by creating the computer game Mystery house. She has created over 20 classic computer games, including the widely successful King’s Quest series. Sierra Entertainment grew under Roberta’s leadership and had years that grossed over $75 million in revenue. In 1996, Roberta and her husband sold the company and shortly retired. However, Roberta will forever be known as one of the most prominent computer game designers of all time. Dona Bailey is the first woman to design an arcade game, creating and designing the arcade classic Centipede with the Atari design team in 1980. She has stated that the idea of centipede came about due to her dislike for spiders. She is currently a professor at the University of Arkansas at Little Rock teaching game design. Well respected as a programming wiz, Dona Bailey is a true pioneer, paving the way for countless women in the gaming industry. Anne Wesfall is the Programmer and Co-Founder of Free Fall Associates (1981). She is the co-created of the widely popular game Archon 1 & 2. She created her independent gaming company to avoid the politics of larger gaming companies, her company became the first independent developing company to work with Electronic Arts. Doris Self is the first female competitive gamer of all time. She also held the Guinness book of world record for being the oldest competitive gamer of all time. In 1984, she set a world record for the game Qbert by having the highest score at the age of 55. Her wonderful accomplishments were featured in the wildly popular documentary King Of Kong: Fist Full Of Quarters. She continued to play Qbert until her death in 2006. She will forever be known as a pioneer in the competitive gaming world. Jane Jenson is known for changing the way modern point and click adventure games are designed. She worked on classic games such as Kings Quest VI and the Gabriel Knights series in the 1990s. She then began working on casual online games. She has been attributed with taking causal games and making them more adventure/puzzle based. Jensen has been involved in the creation of over 20 games and is most known for her unbelievable adventure game writing skills. She currently owns Pinerton road development studio and has released games such as Moebius:Empire Rising as recent as 2014. Hennig is one of the most well-respected video game writers and designers in history. Starting out working for Nintendo in the 1980s as an animator. She is credited as being the lead game designer on the game Michael Jordan: Chaos In The Windy City. Afterward, she worked on games such as Silicon Knights, The Legacy of Kain series and The Soul Reaver series. She became the creative director for Naughty Dog, where she directed and/or wrote games such as Jak and Daxter and The Uncharted series. She is currently working with Visceral games on Star Wars1313. Brenda Romero has one of the longest and most decorated careers in the gaming industry, starting in 1981. 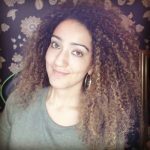 She has worked as a developer on over 20 titles, including The Wizardy Series, Dungeons and Dragons, Jagged Alliance and Realms of Arkania. Romero is the co-founder of the social gaming company Loot Drop and has been the director of the Games and Playable Media Master’s Program at the University of Santa Cruz. Julie Uhrman is the founder of OUYA, a Kickstarer funded gaming console that gives developers a chance to create and make games on. The Kickstarter campaign raised a whooping $8.5 million. She has been the Vice President for Gamefly, IGN entertainment and Jacked. Julie has also been credited on various games such as Jurassic Park: Operation Genesis, The Simpsons Hit & Run, Hulk, and Red Ninja. Julie Uhman has truly paved the way by being a leading and visible example for women in the video game industry. As you can see, women have played an integral part in the gaming industry since the beginning. Today there are more women in the gaming industry than ever before. With the advancement of online gaming and phone applications there are more ways to play and develop games, which are allowing women such as Robin Hincike (owner of Funomena) and Natalia LuckYanova (phone app developer) to design and own their own content. With more creative freedom, the future of women in the gaming industry looks bright and shows no signs of slowing down any time soon.